2013 was a monumental year for Israel’s Rabin Medical Center. From physical expansion and growth to the exploration of uncharted medical territory, the hospital made tremendous gains. In terms of scientific advancement and innovation, future patients of the hospital will benefit from the incredible work that was done. RMC pioneered research and technology that will forever change the face of medicine and patient care worldwide. 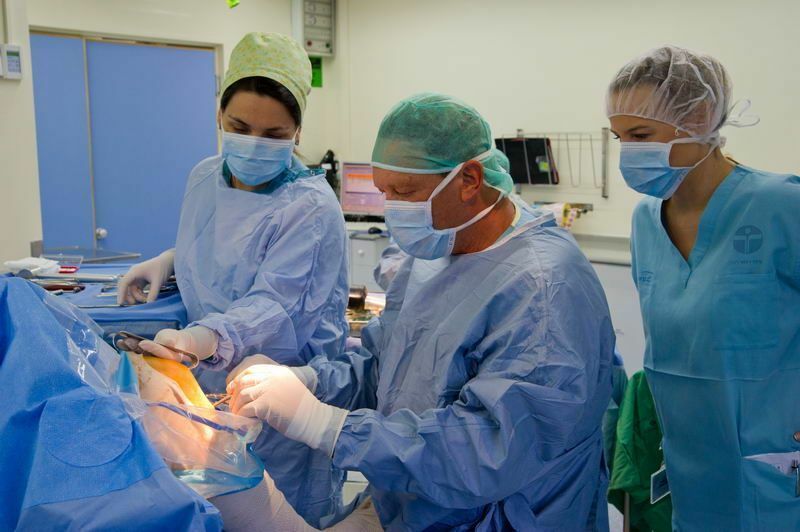 Doctors operating at Israel’s Rabin Medical Center. A research team at Rabin Medical Center’s Liver Institute discovered that Vitamin D has a direct inhibitory activity on viruses and Hepatitis C. This indicates that the combination of interferon as a drug and Vitamin D can be effective in the treatment of Hepatitis C.
A new innovative technology was developed for the first time at the Invasive Cardiology Institute at Rabin Medical Center. It allows for information collected during the catheterization procedure to be sent directly to the iPad. This allows for the cardiologist to see the entire process on the iPad, both for utilization with the patients and the staff. Only a year after purchasing the da Vinci robotic surgical system, Rabin Medical Center has become the leading facility in Israel for performing advanced robotic surgical procedures. To date, robotic surgeries have been performed in the fields of oncology, gynecology, and general surgery, with the hope of expanding further in the coming year. 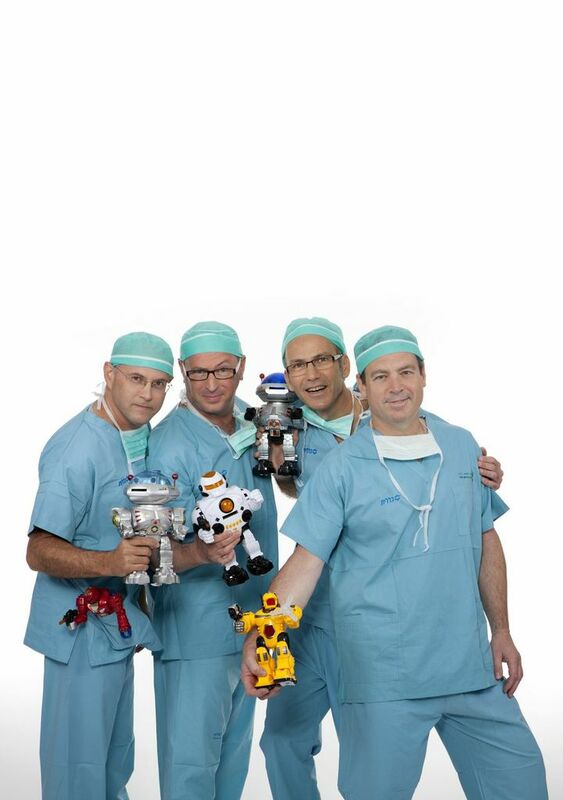 The Rabin Medical Center doctors who successfully utilized the robotic surgical system in new and innovative ways. A medical team at Rabin Medical Center has identified a natural protein that protects brain cells from Parkinson’s disease. This research advances the chance of developing new ways to treat or prevent the incurable degenerative disease. Parkinson’s is diagnosed in about one percent of the population over 65, and it is the second most common degenerative brain disease after Alzheimer’s. For the very first time in Israel’s history, Rabin Medical Center performed a domino liver transplant, in which one liver saved the life of two patients. Only three hundred of these operations have been performed worldwide. 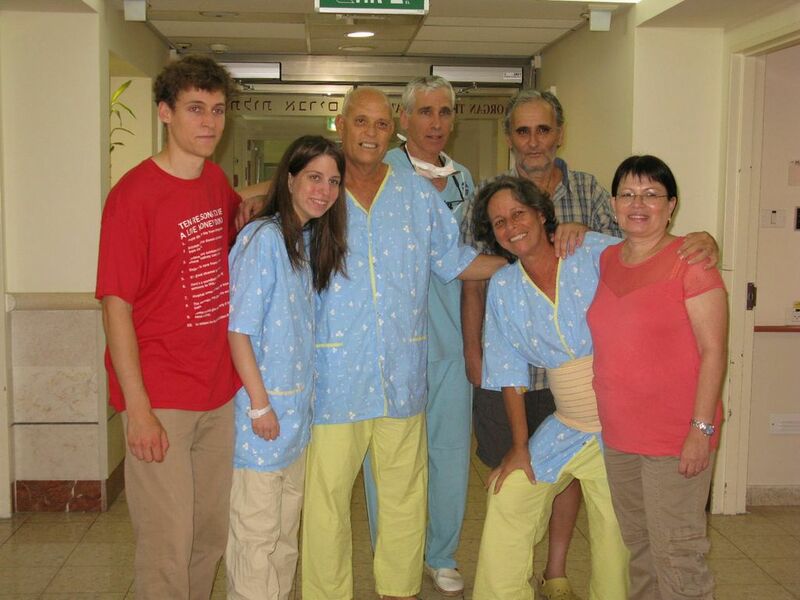 The medical team and patients involved in Rabin Medical Center’s historical Domino Liver Transplant.